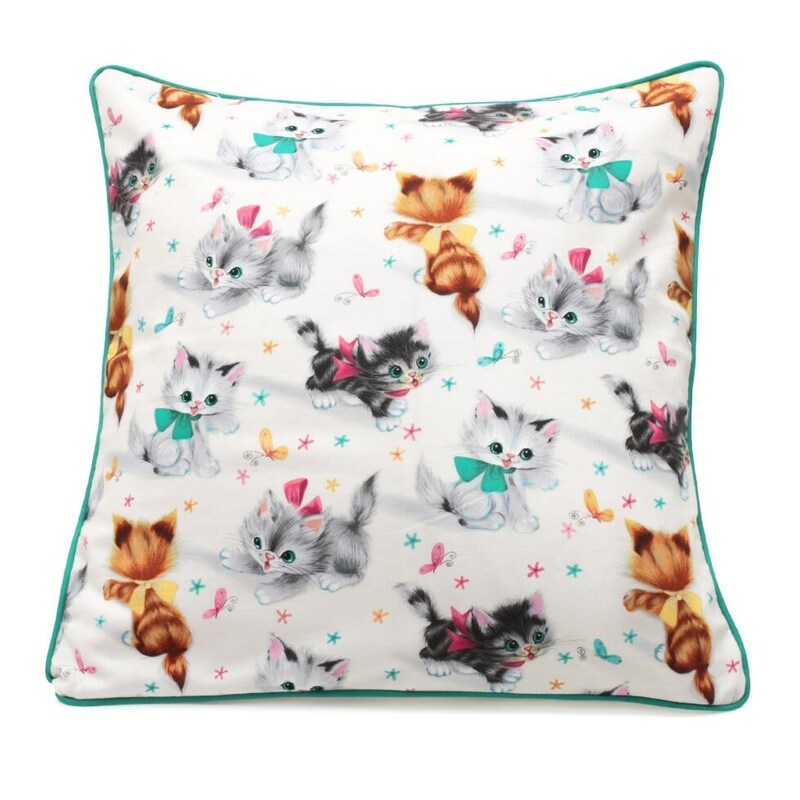 Michael Miller fabric Cushion cover, printed with fun retro kittens and lined with organic cotton plain Ecru. Finish at the point of Turquoise drone. 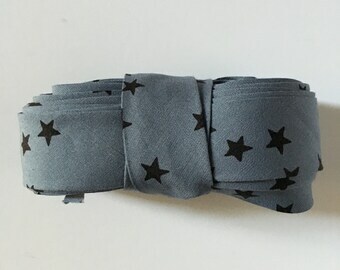 Tie Brown and beige print cotton fabric.